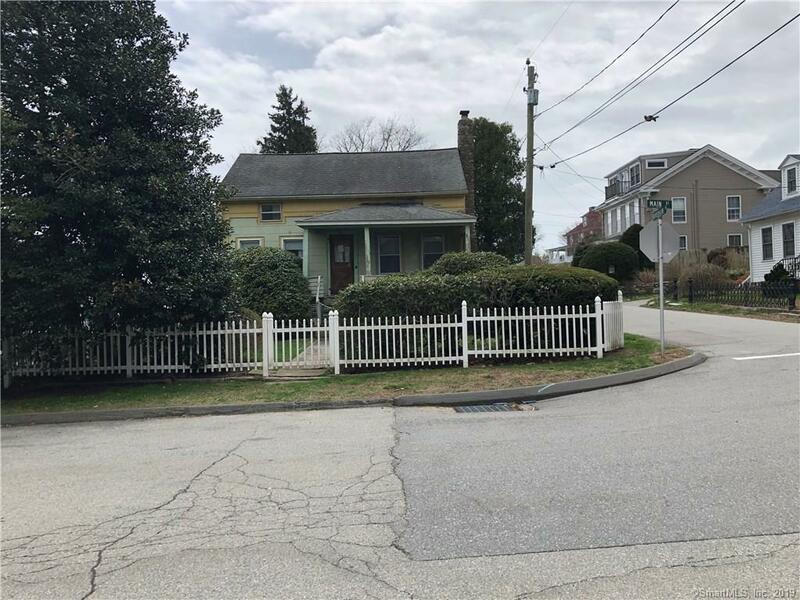 96 Main Street, Groton, CT.| MLS# 170182976 | Eastern Connecticut - Homes for Sale...from Mystic to Moosup & More ! From the Shore to the Country ! Unique antique Noank home built 170 years ago near the banks of the Mystic River. Originally a residential /provisions/meat market this property has great water views to Masons Island, Stonington, Rhode Island and points beyond. The residence is contiguous to the Noank Aquaculture Cooperative which reinforces the connections Noank has with fishing, lobstering, and ship building over the years. The southern boundary abuts Fords Lobsters, a land mark destination known for fresh local lobsters and upscale seafood on the waterfront. The home is located close to the town beach and the Noank Historical Society's Red Shed and Latham/Chester Store, which is the venue for the Society's various social programs, meetings, lectures and member art exhibitions. Of further historical interest an across the street residence houses the original "town jail" which was moved to its current site in 1913 and renovated into a private residence. This is a special property for a creative person with vision!